Hours after lashing out at Fox Nation host Tomi Lahren, the ‘Bodak Yellow’ rapper insists that the ‘Bank Account’ hitmaker has turned his life around by being ‘very positive in his actions and music’. Cardi B has vowed to “take action” to help her friend 21 Savage, after he was arrested for allegedly overstaying in America without the correct paperwork. The “Bank Account” hitmaker, real name Shayaa Bin Abraham-Joseph, was detained by officials in Atlanta, Georgia on Sunday, February 03, with federal authorities claiming the hip-hop star is actually a U.K. national without the correct visa to remain in America. He is now facing deportation. 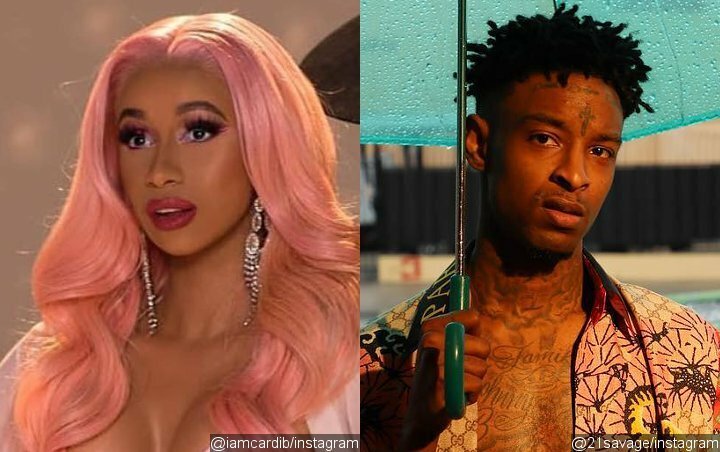 Several stars have come forward in defence of the rapper, with his “Bartier Cardi” collaborator Cardi the latest. Cardi also reignited her feud with Fox Nation host Tomi Lahren, after the journalist made light of his arrest, warning her: “Don’t make me get my leash”. Her words came after she previously told the political commentator she would “dog walk” her during the pair’s spat over the U.S. government shutdown.